SoftPerfect Network Scanner 7 - download in one click. Virus free. Download the latest version of SoftPerfect Network Scanner 7 with just one click, without registration. It comes with a safe official web installer for Windows. 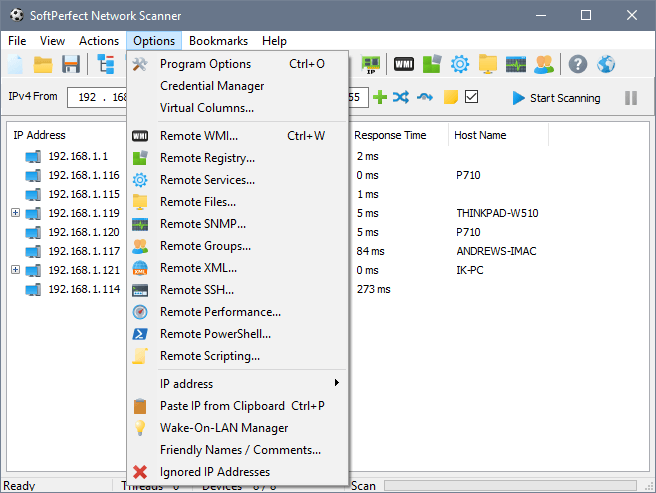 Network Scanner from SoftPerfect is an administration tool for Windows designed to manage your network. It is suitable both for professional system administrators and general users interested in higher levels of security for their computer and home network. SoftPerfect Network Scanner 7 can be used to ping a computer in a network, find and display all live devices in it, search for all currently logged-on users and retrieve information about their uptime and accounts. It can scan ports used in organizing the network and retrieve any of the needed information about devices included in the network via remote registry or WMI. Also, SoftPerfect Network Scanner 7 can find shared folders, even hidden ones, and is helpful in managing access to them. 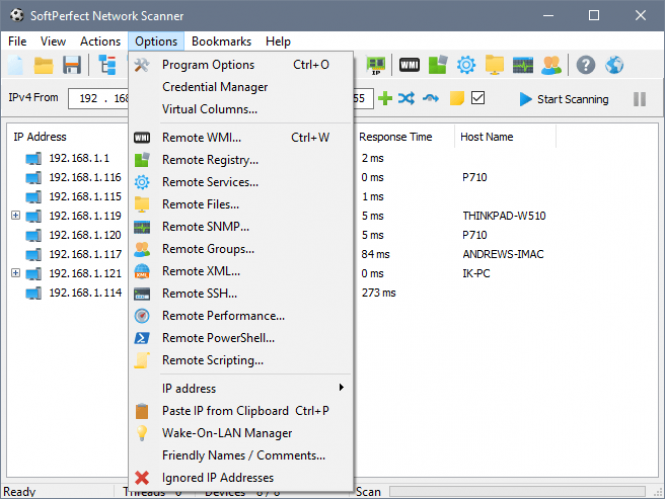 Then, Network Scanner 7 is used as a registry scanner and can scan the network for remote services. It also has powerful searching and filtering options; results of the search can be exported to XML, HTML, JSON, CSV or TXT file format. 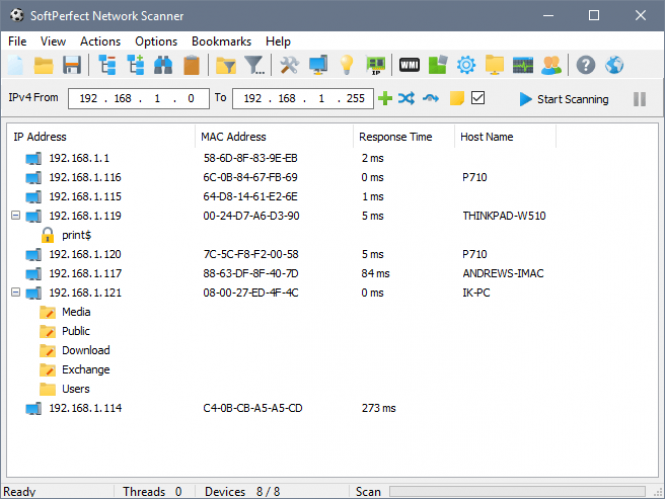 Finally, SoftPerfect Network Scanner detects IP addresses in the network (both internal and external) and MAC-addresses of network hardware. It allows remote command execution (SSH, PowerShell, VBScript are supported) and can use the remote shutdown and Wake-On-LAN standard. All in all, SoftPerfect Network Scanner 7 is a great and highly useful tool with an intuitive user interface. It works fast and doesn't need much of the system resources, so if you are looking for a way to secure your network - check out this free download.